The fruit of the Bael (Bilva - The Golden Apple) tree, the family of Rutaceae is found wildly or cultivated throughout India. The leaf of Bael is generally trifoliate. This trifoliate leaf is symbolic of Brahma, Vishnu and Maheshwar. The Bael tree is considered as sacred by the Hindus. They offer its leaves to Lord Shiva during worship. 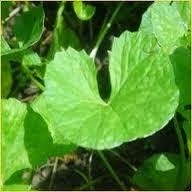 The essence of its fruits and leaves possess an evaporating oil which is very good for human body. The leaves absorb foul gases from the atmosphere and keeps the atosphere clean. Bael sharpens intellect and concentration of mind. Toasted Bael leaves if taken with clarified butter and sugar candy powder sharpens concentration and intelligence. Ripe fruit is taken during summer to keep the body and mind cool and very good laxative. Decoction of unripe Bengal quince or Bael fruit baked for 3 hours with sugar checks dysentery and sorbet of ripe fruit pulp helps in constipation and dyspepsia with added milk cures anemia. The woody shell of the fruit has more soft rind and gray-green until the fruit is fully ripe, when it turns yellowish. For medicinal use, the young fruits, while still tender, are commonly sliced horizontally and sun-dried and sold in local markets. They are much exported to Malaya and Europe. The Bengal quince was so commonly used by the western practitioners in India in old days that it found its way into the British pharmacopoeia. Traditionally tender green Bael fruits are used to make Murabba and often green Bael fruit slices are sundried and stored for future use. 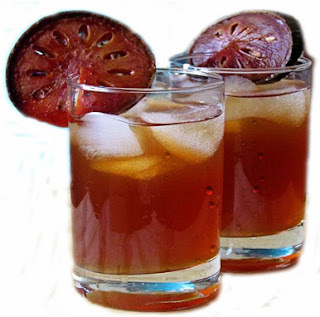 Sometimes drinks are prepared at home by mixing tamarind or yoghurt with fruit pulp. In spite of its long history and therapeutic properties, Bael fruit has not been domesticated via human selection, but only for puja ritual. 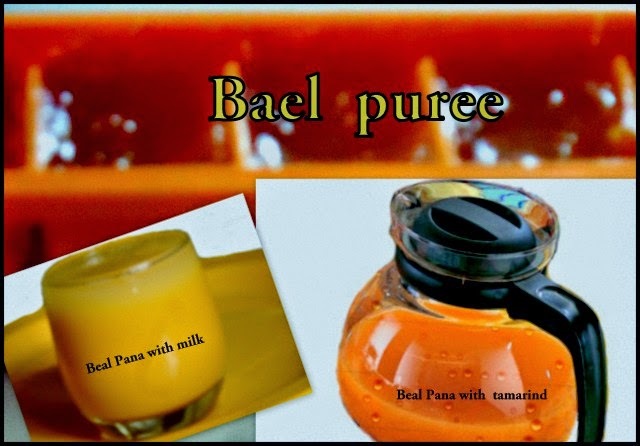 Since there is a growing demand from consumers because of a leaning toward natural and health foods all over the world for new nutritious and delicately flavored products, the awareness about the value of Bael fruit seems growing high. In ancient India the Bilva was regarded as the most sacred of all fruits and was used as the main food offering to the temple deities. Only in comparatively recent times has the coconut superseded the Bilva as the principal fruit of religious offering or as a symbol of self-surrender. The fruit is known as Sriphal by the name of goddess “Sri Lakshmi“. The bunch of three leaves of the tree are symbolized as trisul of lord Shiva and are traditionally used as sacred offering to lord Shiva and also found mention in early Buddhist and Jain literature. It is said that this tree indicates the presence of underground water. 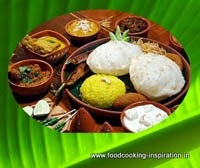 The New Year eve festival of Hindu calendar is known as Pana Sankranti. A special drink called Pana, prepared from the mixture of Bael fruit and yoghurt offered to the Goddess Tulsi or Basil on this day. This act symbolically represents that water being the most important constituent for sustaining life in the earth, should be provided to all in the month of summers. In Bengal the observance of the vow ritual “Punni pukur Brata” includes the digging of miniature sacred pond and the plantation of either a twig of Bael tree or Tulsi tree and the filling of water in the pond possibly the an imitative rite in which one is tempted to conclude to make ponds and tanks which should be actually filled with rain water. Ihi or Bael bibaha is a ceremony in the Newar community in Nepal in which pre-adolescent girls are 'married' to the Bael fruit or wood apple, which is a symbol of the god Vishnu, ensuring that the girl becomes and remains fertile. It is believed that if the girl's husband dies later in her life, she is never considered a widow because she is married to Vishnu, and so already has a husband that is believed to be still alive. This very sacred ritual is in practice since hundreds of years. The marriage rituals need not be performed again while getting married with a man. The second marriage is known as the Bahra ceremony or Sun marriage. Fruit is not consumed much widely because of eating difficulty, but it may become more popular if suitably processed. Adding water and applying heat dilutes the mucilage and make it possible to extract the pulp more easily. I used to make this in the weekends to avoid extra trouble during the busy week days. I found this is the most easiest way and a handy method to prepare and store my health drinks for a hot summer day. In order to prepare the ripe fruit gel or puree, the hard rinds of the fruits are opened by striking against a hard object and fruit pulp removed, then steeped in cold water with seeds and fiber for half an hour. It can be then easily scooped up to make a liquid pulp. The liquid pulp was then heated up at 300C for 10 minutes on constant watch and then strained through a sieve to separate seeds and fiber from pulp. The Bael fruit pulp obtained had almost the same consistency and color as that of mango pulp. Take 500g of sugar for one kg of pulp and boil it in 500mL of water for 15 minutes. The raises scum formed at the surface of syrup, which must be carefully removed to keep the fruit puree longer. Stir well while boiling. Add the strained Bael pulp to the sugar syrup and boil for another 7 to 10 minutes. Although the fruit is rich in pectin, it did not form jelly due to the excess of gummy principles. After cooling the puree it can be stored in the freezer and I preferred in the ice tray wrapping in cling film. Marked physiological breakdown is noticed when the storage temperature is below 90C. Spoilage of bael fruit is mainly due to fungal attack. The stem end of the fruit is very vulnerable to infection. About 60% of the fruit is sufficient for an adult. Take one scoop of prepared puree, add chilled water and drink in the early morning. It will keep you cool and fresh all day long. For the variation with this puree you can add skim milk or yogurt or tamarind pulp of your choice, shake well and your health drink will be ready in a few minutes. For the preparation of Bael tea, the unripe fruit was sliced into half-inch thick pieces, washed in water, pricked with a stainless steel fork and soaked overnight in cold water. The pieces were then blanched and put in light sugar syrup. The strength of the syrup was then gradually raised to 70 degree brix. Bael fruit was then toasted either on a grill oven or toaster oven. Either way, it should take no more than one minute. There will be some burnt parts. The traditional Bael tea boiling method is drop the toasted Bael fruit slices into the pot, add water and boil for at least 2 minutes. This method brings out the most flavors. Apply the juice of the fresh leaves of Bael fruit all over the body every day to prevent unpleasant odor emitting from the body. The fruit was traditionally used to treat leukoderma. Burning of outer shell of the Bengal Quince repels all insects and mosquitoes. In the olden days the sharp straight thorn of the bael tree was used as a nose pricker.